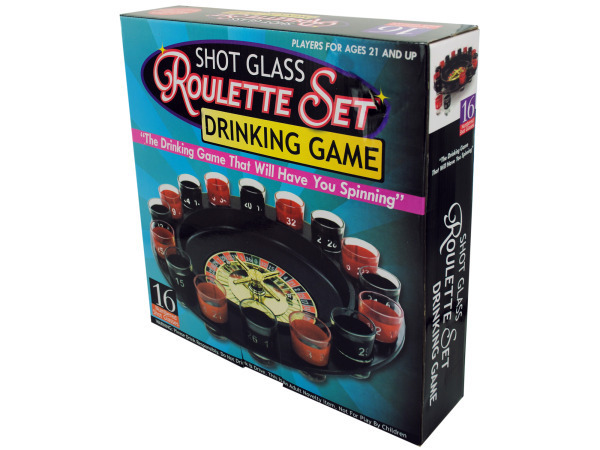 Add fun to a birthday, bachelor or frat party with this fun Roulette Drinking Game. It's a game for those who are ready to have fun with their alcohol. Includes a roulette wheel, 16 numbered shot glasses and 2 metal balls. Pick your numbers and get ready to do some drinking! Comes packaged in an individual box. Box measures approximately 11.75" x 3" x 11.625".